You'll learn what self hypnosis is and how its beneficial to you and developing your mind to break bad habits or creating new, good habits. 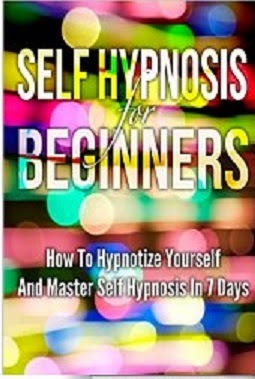 You will see how self hypnosis works and how it's used. Also, you will learn to find a place that is a perfect area to practice self hypnosis. Putting yourself in a state-like trance that the knowledge you apply from this book will become automatic for you in just a short time (if you applied it correctly). I've listed 8 easy and simple techniques to self hypnotize yourself to a better health, to becoming more productive at work, or creating new businesses or finding new a job. All of these simple steps will do wonders for you and the results will be noticeable and you will impress a lot of your friends, family, coworkers, and even your boss. And lastly, I will teach you the dos and don'ts about self hypnosis and managing the tough times about self hypnosis. All that and more when you purchase this book as your first step to being a productive individual!